Supporting startup and innovation-led businesses is essential to creating a healthy 21st-century economy. While small groups of innovators, funded by outside support from investors might not seem to be economic powerhouses at first glance, attracting these businesses to the Silicon Forest can help us create a strong innovation economy for years to come. PacTech recently hosted U.S. Representative Suzan Del Bene for a roundtable discussion with local tech, civic and business community leaders at the Seattle Chamber of Commerce. Our discussion centered on the emergence of the “Internet of Things,” (sometimes called IoT) and featured three local companies that are becoming leaders in the space: IoT Technology Systems, Buddy and Kymeta. Quick—name a hotbed of innovation in Washington State. You might have said Seattle or Tacoma, or even Vancouver. 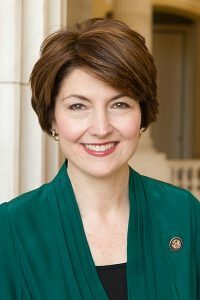 After hosting U.S. Representative Cathy McMorris Rodgers for a discussion at the offices of a company called Gravity Jack, PacTech can confidently add Liberty Lake, WA to that list. Representative Greg Walden is at it again—and I mean that in the best way possible. Over the past few years, as issues of so-called “net neutrality” have come to the forefront of our discussion on technology and public policy, Rep. Walden has been a consistent advocate for light-touch regulation. The absence of regulatory burdens restricting innovation is, after all, the primary reason that our Internet-based economy has been able to grow so quickly. The Pacific Northwest isn’t lacking for ways to engage with the tech community and attending events can be the fastest and easiest way to network with entrepreneurs and tech enthusiasts in the area. This is just a small sampling of the many opportunities to get involved. Here are PacTech’s top five picks for tech events in Washington and Oregon.